When a creature dies, Bloodline Outcast gains Drain this turn. 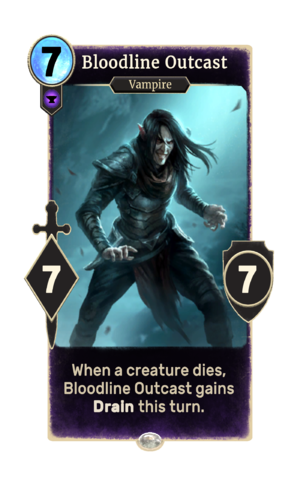 Bloodline Outcast is a common Endurance creature card. It is part of the Houses of Morrowind expansion. "Your death will be painful."